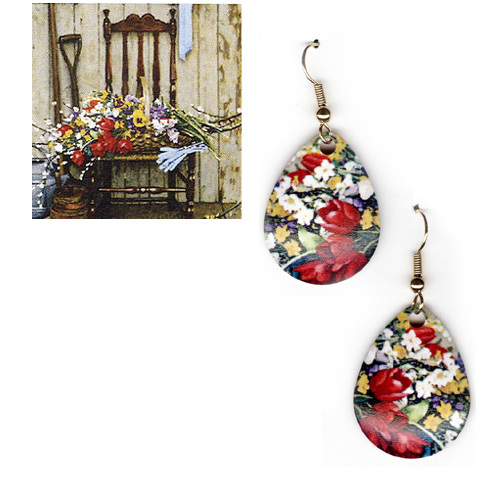 Norman Rockwell's Spring Flowers inspired earrings, featuring an elegant detail of this beloved painting. Published for McCall's magazine in 1969 Spring Flowers remains Rockwell's only known still life, depicting the harmony between a gardener and nature. Earrings measure 1 1/4 inches long. Made in the USA by David Howell & Co, jewelry exclusively produced for Norman Rockwell Museum.